Let's shape the future of the aerospace industry together! 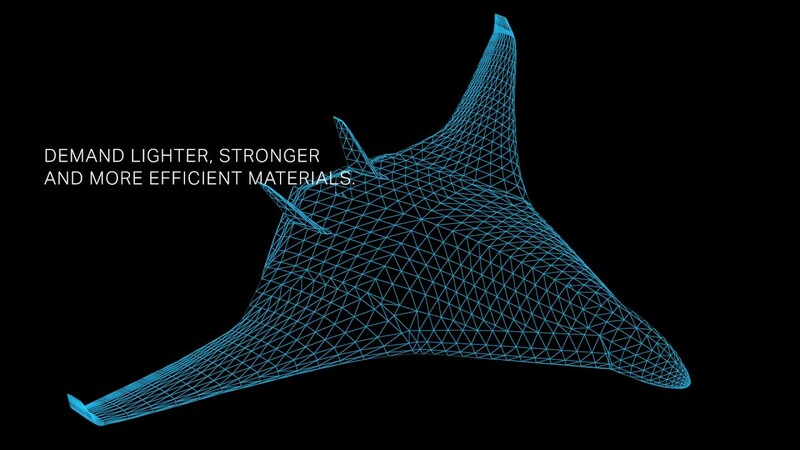 Ever growing demands in the aerospace industry for safer, lighter and stronger materials are also opening up exciting new possibilities – for reduced fuel consumption, flawless operation under higher pressures and reduced costs through smarter designs. For more than 50 years, we’ve supported leading engineering companies to develop next-generation civilian and defense aviation, spaceships and satellites. Our philosophy is simple: together, nothing is impossible! It’s an innovative attitude rooted in a 154-year steelmaking tradition where metallurgical firsts – backed by today’s team of 2,700 R&D experts – has driven the development of premium stainless steel and titanium tubing products, structural components, composites and machining solutions. Our broad range of aerospace tubular products is used by leading OEMs for fuel lines, hydraulic lines, instrumentation systems, pressure gauging and more – in OD 3 to 50.80 mm for stainless (0.118 to 1.968 inches) and OD 6 to 50 mm for titanium (0.236 to 2 inches). To secure the swift delivery of top-end products, we operate three highly specialized tube mills in key aerospace hubs in Europe and the US: Sandvik Werther, Germany (P&P) Sandvik Charost, France (Precitube) and Sandvik Kennewick, Washington, USA (Sandvik Special Metals). Our tube mill in France has been actively serving demanding aerospace customers since 1972. In North America, our US mill is a well-known, NADCAP-certified provider of advanced titanium tubing. Key aerospace certifications have either been received or are under way at all mills. A new generation of smart, multi-role defense aircraft is placing tough demands on strong, lightweight materials for critical hydraulics and other operations. They must deliver unrivalled performance, while handling higher system pressures and at temperatures ranging from –65° to 275°F. High strength and lightweight hydraulic tubing and structural components from Sandvik are used throughout the fuselage, often in titanium or high-alloy steel grades. Whether for door hydraulics or seating structures, our aircraft grade titanium products offer high quality and are roughly 30% stronger and 50% lighter than conventional steel. Precision hydraulic instrumentation tubing is critical to safe actuation of flight control surfaces such as flaps and slats, as well as fuel supply management. The vibration and stress on modern helicopters necessitates the usage of increasingly lightweight and strong materials. Sandvik is proud to provide some of the world’s most demanding manufacturers with top-end stainless steel and titanium tubing for the trailing edge of helicopter rotor blades as well as the critical tubing for hydraulics and instrumentation. With hydraulic pressures often exceeding 3,000 psi, the challenges on the hydraulic actuators can often be extreme. grades of titanium for hydraulic tubing and fuel systems as well as special alloys. Today’s increasingly larger aircraft require more wheels and advanced designs, with hydraulic systems capable of ensuring safe operation with pressures often exceeding 3,000 psi. Modern landing gear must be optimized for shock absorption to minimize the loads on touchdown and to insure optimal ground-riding comfort. This demands carefully engineered subassemblies designed for the more severe requirements on safety, reliability, service life, maintainability and weight. The resurgence of interest in private space exploration, satellite launches and high altitude flight is placing demands on new engine designs that are lighter, more energy efficient and even reusable. With their high thrust-to-weight rations, modern rocket engines rely on fuel systems made of the highest-grade stainless alloy or titanium tubing material. We’re proud to supply some of the world’s leading space programs. From melt to finished tube. Aerospace customers tell us they appreciate Sandvik’s ability to guarantee controlled quality production, batch after batch, thanks to our fully integrated production process. Every tube can be traced back to the original melt from three highly specialized niche mills located near key aerospace hubs in the US and Europe.